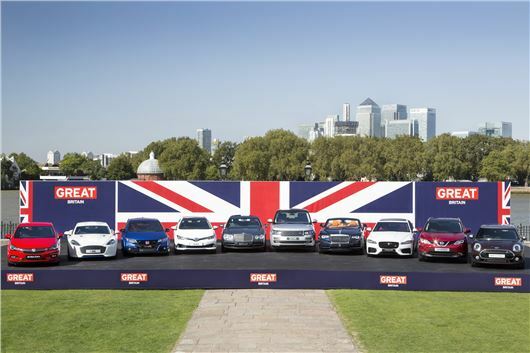 Of all the cars produced in Britain during 2015, 77.3 per cent were exported overseas. A total of 1.6m cars were produced in 2015 – the highest number in a decade. Of those, 1.2m were exported, despite shrinking demand in Russia and China, previously very big markets for UK car exporters. Fortunately the European economic recovery resulted in a big increase in demand for British cars in Europe, which now accounts for 57.5 per cent of all UK car exports. Mike Hawes, SMMT Chief Executive, said “Achieving these hard fought for results is down to vital investment in the sector, world class engineering and a committed and skilled UK workforce – one of the most productive in the world. Jaguar Land Rover and Nissan were the biggest UK car producers in 2015, both building almost 500,000 cars. MINI, Toyota and Honda all produced more than 100,000 cars, while Vauxhall produced 85,241, all Astra. Other, low volume car manufacturers such as Bentley and Lotus produced 25,142 cars between them.